Whip up a fruity fruit mousse in just minutes, and enjoy day or night. 1) Combine gelatin and cold water in a small bowl; add boiling water and stir until dissolved. Set aside. 2) Beat whipping cream in a large bowl until thickened; add sugar slowly, beating until soft peaks form. Slowly add gelatin mixture; fold gently. Fold in cherries. Chill until set, about 2 hours. Serve cold. 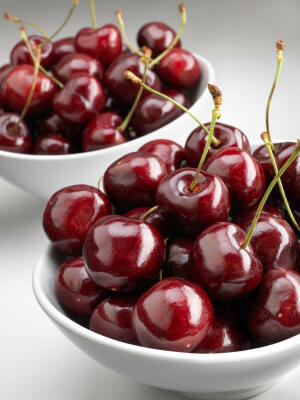 Back to the Cherry Recipes home page.